If you are using your homemade or store-bought dough: drizzle a little olive oil onto a baking sheet and spread it around. Pat and stretch the dough into a 10-inch round and place on the baking sheet. If you are using a frozen pizza crust: plop it down on a baking sheet and get to work. Brush some of the garlic and olive oil mixture onto the crust. Evenly lay the onion slices over the top. Scatter the cheese over the onions. Place the broccoli in a medium bowl and drizzle the remaining olive oil mixture over the top. Toss well until the broccoli pieces are coated with the oil. 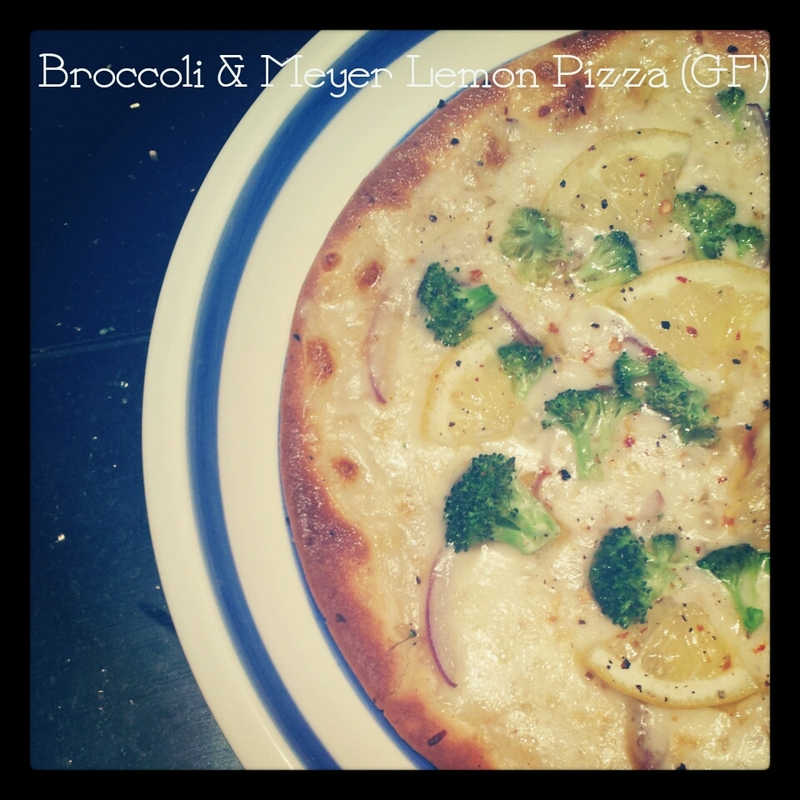 Spread the broccoli evenly over the pizza. Top with the lemons. Sprinkle with the crushed red pepper flakes and a pinch of salt. Bake for 8 minutes, or until the cheese is melted and the broccoli is tender with a few brown bits here and there. (Note: If you are using your own pizza dough, bake the pizza foe 10-12 minutes. I like to flip on the broiler for a minute or two to get a nice golden crust, but this step is totally optional. Confession: I’m kinda obsessed with Pioneer Woman. I realize she doesn’t necessarily cook the healthiest of meals (she uses butter almost as much as Paula Deen), but damn, those dishes look goooooood. While I was exploring the recipes on her blog, I came across a pretty simple and yummy-looking Beef and Broccoli recipe. 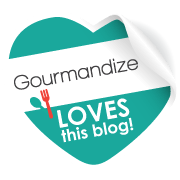 I used marinated skirt steak for Nick’s and marinated tempeh for my dish – luckily, both of our versions turned out phenomenally. 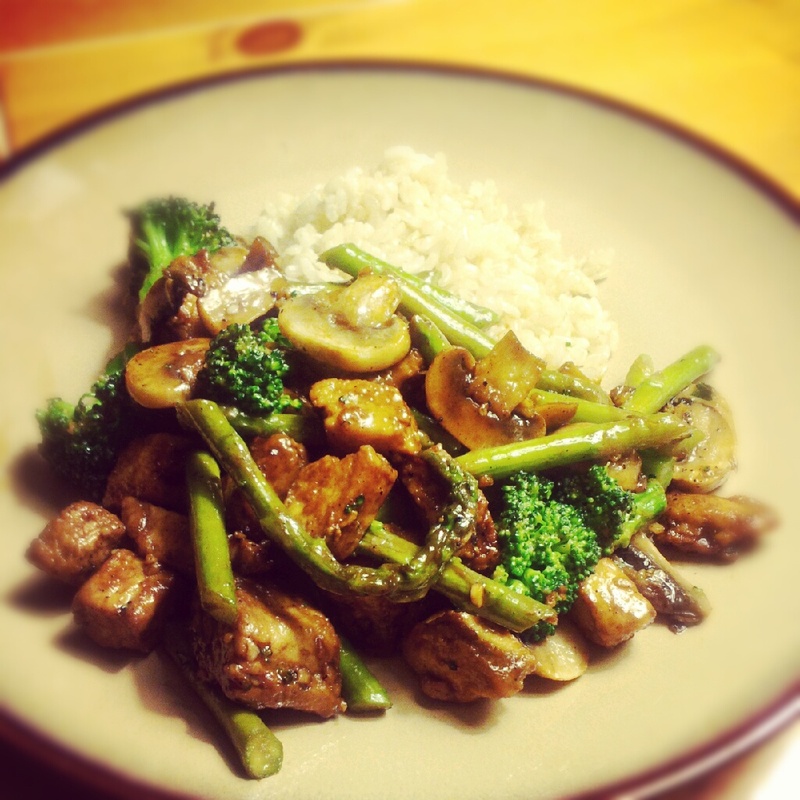 I thought I had way more broccoli on hand than I actually did, so I compensated by adding some mushrooms and asparagus. Now, the original recipe calls for Oyster Sauce – but I can’t eat that so I made my own version that is vegetarian and shellfish-free. In a bowl, combine the ingredients for the Beef Marinade. Add the beef and let marinade for 10 minutes at room temperature. In a small bowl, mix together the ingredients for “oyster sauce” in one bowl and the stir-fry sauce in another bowl. In a wok or large sauté pan, add 1 inch (2.5 cm) of water and bring to a boil. Add the asparagus for 3 minutes. Then add broccoli and cover to steam for 3 minutes. The broccoli should be bright green, crisp tender and you should be able to pierce the stem with a fork. Drain. Discard the water in the pan and dry the pan well. Set the pan over high heat and when hot, add the high-heat cooking oil and swirl to coat. Add the garlic and fry for 15 to 30 seconds, until fragrant. Add the mushrooms and tempeh/steak strips, keeping them in one layer and fry 30 seconds. Flip the strips and fry the other side. Mix all ingredients together in a shallow bowl. Once the tofu has drained, slice five 1-inch strips and toss them in the marinade. Throw strips on a medium-high heat grill pan and cook for 3 minutes on each side. Add garlic and stir until golden, about 30 seconds. Add greens in batches, if necessary, and toss until just wilted, 2 to 4 minutes. I’ve never claimed to be a “healthy” vegetarian. For those of you who know me, you know that I’m a carbohydrate fiend. I simply would not be able to live without my pasta and bread. However, eating a strictly carbohydrate-based diet will undoubtedly cause weight gain and all sorts of health issues. 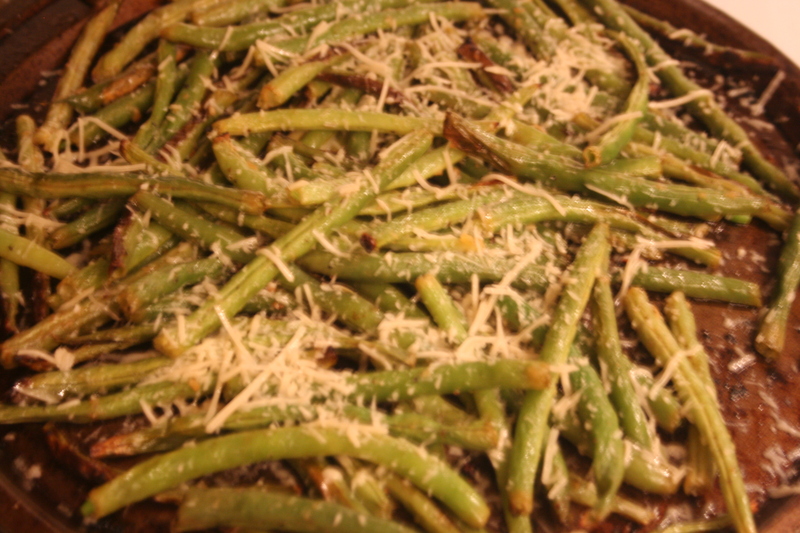 But I must admit that dressing up some simple veggies, like these yummy Green Beans above, with some parm and truffle oil makes what you used to try to hide under mashed potatoes, your favorite option on the plate. I got this recipe from Skinny Taste, and the recipe claims to be kid-approved; I totally believe it. I think we may have just solved every mother’s crisis when butting heads with their toddler at the kitchen table. Kids: Eat your veggies! Oh. My. Goodness. This was so delicious, if I do say so myself. Nick and I recently dined at North, in Arcadia – it quickly became one of our faves. They have an appetizer called the “Bread and Cheese Plate” – when we ordered it we figured we would be getting a selection of cheeses, some olives, chutney and bread; but what we got would be so much better. While sipping on a lovely red wine, our jaws dropped to the floor when we saw a cast-iron skillet of cheesy goodness and beautifully grilled artisan bread slices. Needless to say, we were in heaven. This dish was so delish, that I couldn’t stop thinking about it days after we had been there. Naturally, I took a stab at creating it at home and it was my favorite dish that I’ve made to date. I borrowed this recipe from Ina Garten, but added some twists to it. My recipe is below. Distribute the cubes of Fontina and Smoked Mozzarella evenly in a 12-inch cast-iron pan. Drizzle on the truffle oil. Combine the garlic, thyme, and rosemary and sprinkle it over the cheese and truffle oil. Sprinkle with the salt and pepper and place the pan under the broiler for 6 minutes, until the cheese is melted and bubbling and starts to brown. 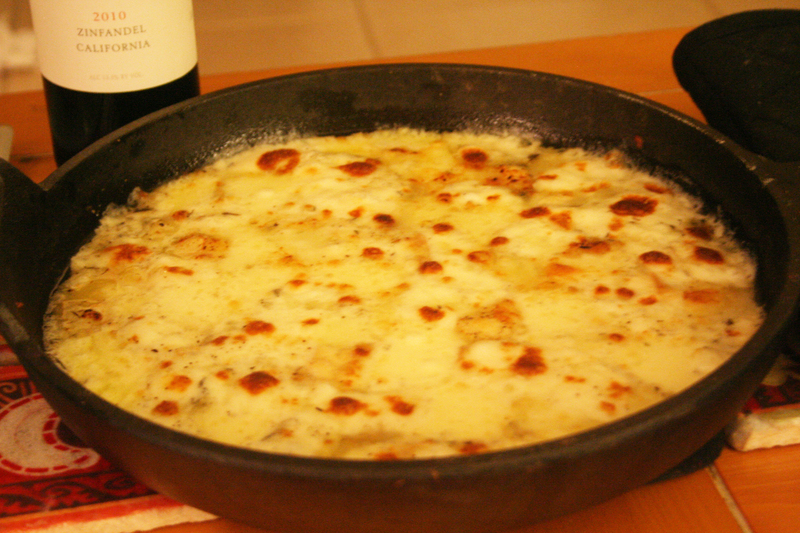 Serve the baked cheese family-style-right out of the oven in the cast-iron pan with crusty chunks of bread for everyone to dip.